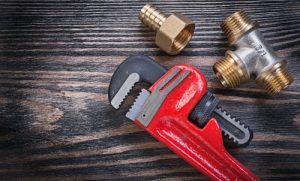 If you’ve never touched a wrench and have no idea where your home’s maze of pipes begins and ends, your chances of filling the shoes of a skilled, qualified plumber are next to nil. The good news is you don’t need to know the difference from a ball valve and hose bib to stay ahead of costly water damages caused by leaky pipes and faulty plumbing problems in your home. You just need your eyes to lead you to potential plumbing problems. Plumbing system problems rank top among the leading source of residential water damages, with 48 percent greater losses than the second leading source, according to water damage studies conducted by Insurance Institute for Business & Home Safety (IBHS). When water appears in a place it shouldn’t–be it dampness, a slow drip, or a puddle-making stream–it’s a good indicator to call in a professional. But because plumbing system failures losses result in an average cost of $5,092 after the insurance deductible was paid, waiting until you see moisture is sometimes too late. Ready to give your pipes the once over? Here are the top things to inspect to help keep your home dry and protected. Go low: Check underneath water-using appliances and fixtures, such as dishwashers, refrigerators, sinks, toilets, and tubs, for not only moisture but also damaged flooring. If you see signs of warping, cracking, or staining, it may be a sign water is present. Look high: Since much of your plumbing system runs behind walls and between the stories of your home, inspecting the pipes is not always an option. Keep an eye on ceilings and walls below upper-floor bathrooms and laundry units where water can leak behind causing stains or sagging drywall or ceiling titles. Make connections: The areas where pipes fit together are more prone to leaking if the connection is not sound. While water or moisture is one sign of a bad connection, you should also look for corrosion and any stains in cabinetry or flooring in the proximity of pipe fittings. Spot cracks: Drainage pipes need to be solid in order to avoid water from escaping. Inspect the length of pipes both visually and by touch to detect any areas of the pipe that may show signs of wear or damage. Twist valves: Make sure supply line valves can be turned on and off without leaking. The same should be done for faucets. Increase drainage: Slow drainage can mean a bigger plumbing issue is at play. 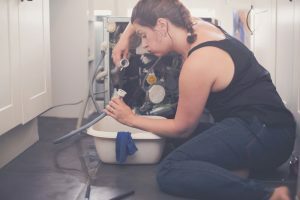 While it could be easily fixed with the aid of a plunger or natural ingredients such as baking soda and vinegar, it may be best to bring in a plumber to make sure your pipes aren’t actually the problem. Crawl under: Regularly inspect crawl spaces and other tucked away areas of your home for water leaks, which could be caused by a pipe or drainage issue. Pay less: While not technically part of the actual plumbing system, your water bill can be a good indicator as to whether or not there is a plumbing problem. If you bill goes up unexpectedly, go back through the above checklist to see if the cause of the extra cost is due to a drip, leak, or faulty plumbing part. Keeping a watchful eye on these areas routinely can help prevent expensive water damage in the future. For best measures, hire a plumber to inspect your home and act as a guide in creating plumbing inspection checklist that is tailored to fit your home’s needs. A&J is Madison and Milwaukee’s 24/7 emergency and non-emergency water damage restoration specialists. We work with your insurance carrier from extraction services to rebuild. 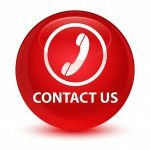 When you suffer from damage caused by a burst pipe, leaky dishwasher or washing machine, flooded basement, or other water loss in your home or building, call A&J for immediate response. Call 800-727-8990! A&J Property Restoration DKI provides 24/7 emergency water restoration and sewage clean up for homes, businesses, and commercial buildings around Madison, Middleton, Sun Prairie, Waunakee, Milwaukee, Brookfield, WI Dells, Fort Atkinson, Watertown, Oconomowoc, Waukesha, West Allis, and surrounding Dane County Wisconsin areas.